NOTE: Tix are $12 in advance (plus $4.50 in fees), $15 day of online (plus $4.50 in fees)...$17.00 at door day of show. Zeppelin. 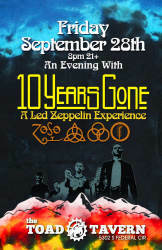 On stage, the band brings together a combination of Zeppelin's famous studio catalogue as well as their legendary live performances. 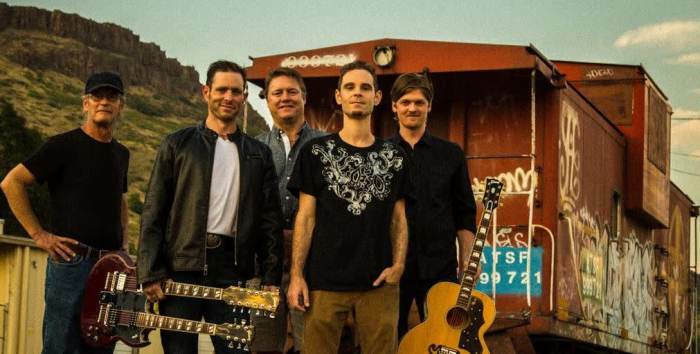 The lineup includes John McGah on Lead Vocals, Jonathan Zurek on Lead Guitar, Joe Lederman on Drums, Bill Galey on Keys, Breton Perrin on Rhythm Guitar, and Menandro Rafael Pena on Bass. 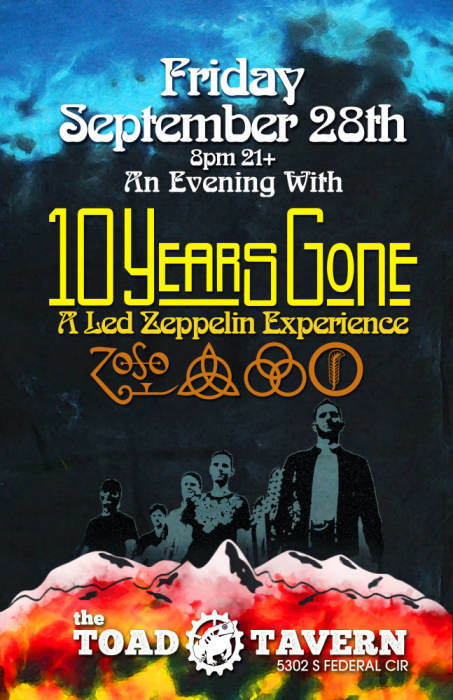 A staple in the Denver Tribute Band scene for more than 5 years, Ten Years Gone has an incredible sonic presence that has been developed on the Theatre stages of Colorado. This IS a MUST SEE show!! !